Last time I revisited some of the setups that I really liked. Now, we’re going to take a look at how I set one up. I’m going to begin with the ground cover. 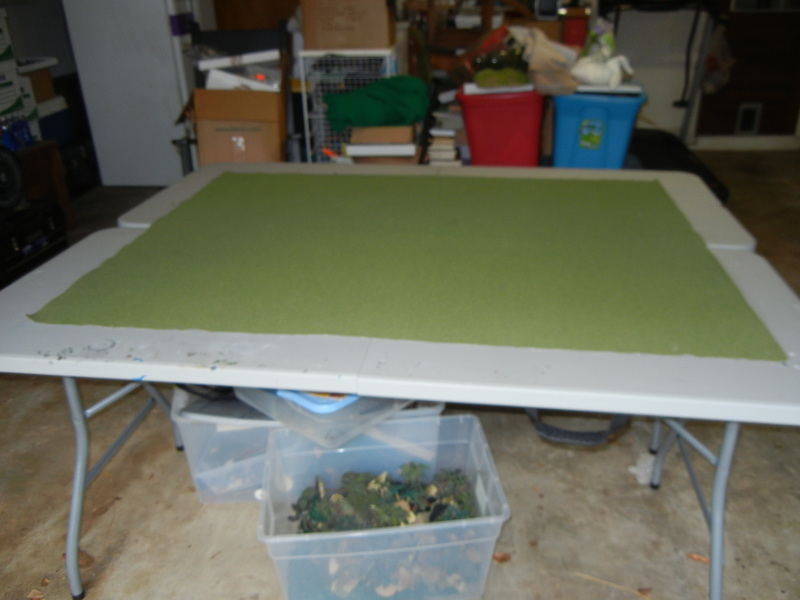 In this case it’s a 5′ x 4′ terrain from The Terrain Guy (www.terrainguy.com). It was originally 8′ x 5′ but I decided to cut it in half to make it easier to store and tote around. Next, we’ll add the buildings. I picked the church because it looked nice. 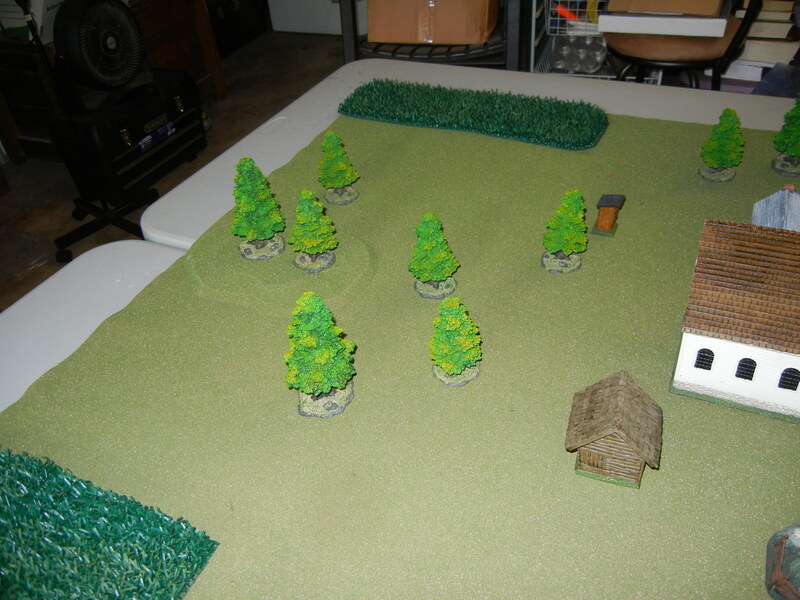 It also provides a very clear cut objective. The church really stands out . I also added some grainfields at the corners of the battle field. 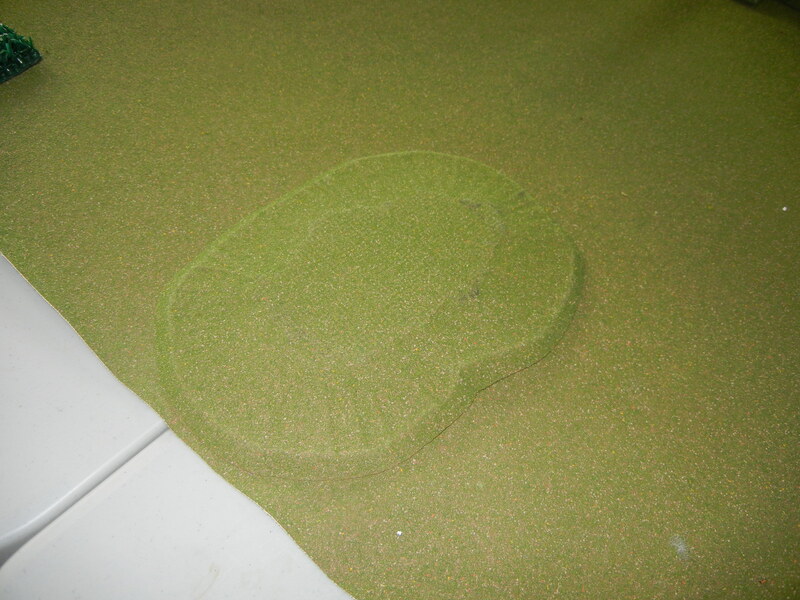 I cut up an artificial grass doormat to use. 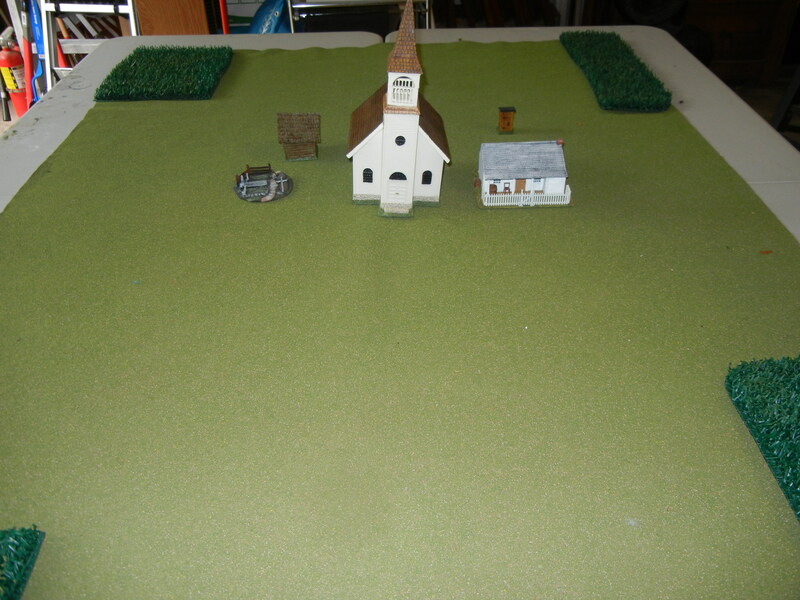 Here are a few more views of the basic layout. I am going for the “Little Country Church” look. Front of the church with the Parsonage sitting next to it. The rear view and yes that little brown building is an outhouse. 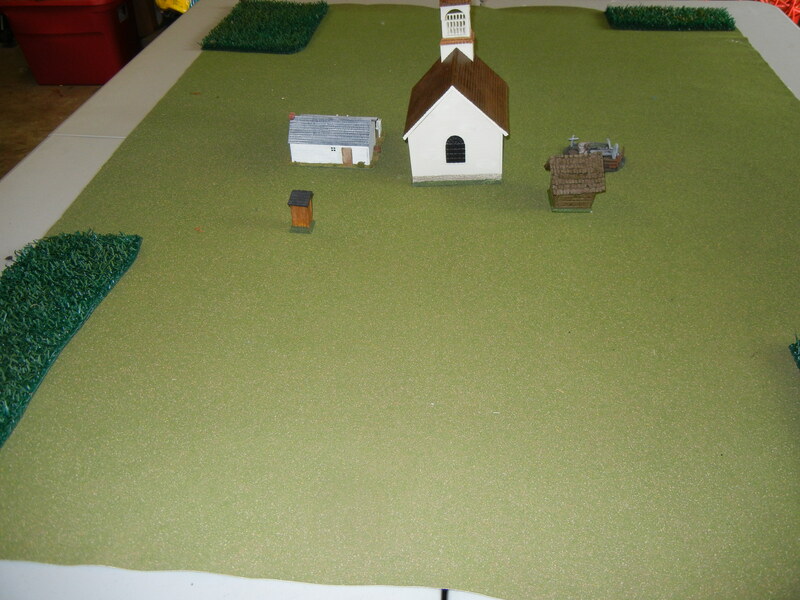 With the exception of the Parsonage, all of the other buildings are from Miniature Building Authority. The little family plot is from Architects of War while the Parsonage is from the Perry Brothers line. The next part will probably be a little difficult to see. I added a couple of small hills, one on each end of the battlefield. 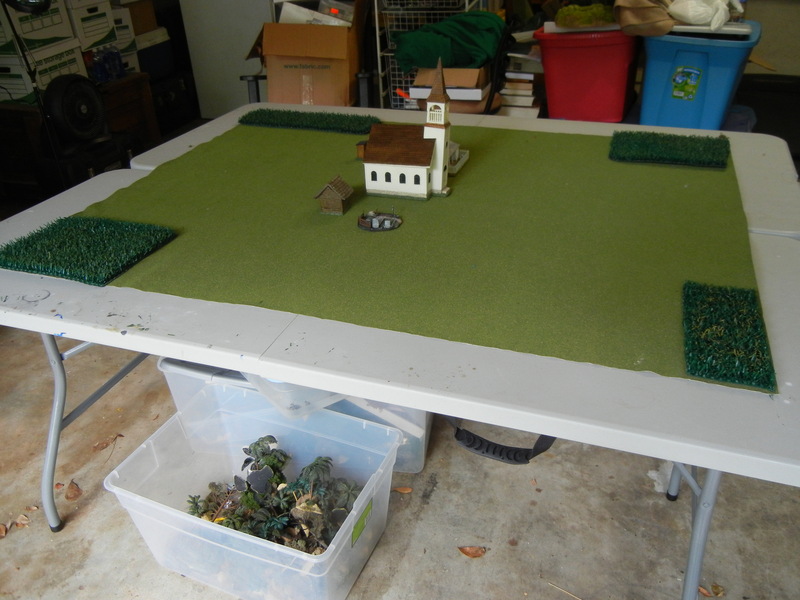 The problem is that the hills match the terrain mat so well that it is difficult to see them in the picture. Next up, I added some trees. These are resin cast trees from MBA. I prefer them to model railroad type of trees because they are more durable. The thing to remember is that model railroad trees are designed for static displays. They generally don’t hold up well to the rigors of wargaming at least that’s been my experience. The final step is to add some fencing. Most of the wooden fencing “back in the day” tended to be what was called serpentine. It was a rail fence that was cheap to make and took advantage of local materials. And there you have it. This set up can be used for several different time period from the American Revolution, the American Civil War or perhaps even the German Invasion of 1905. The next post will feature a battle. Until then…Play Games and Have Fun! 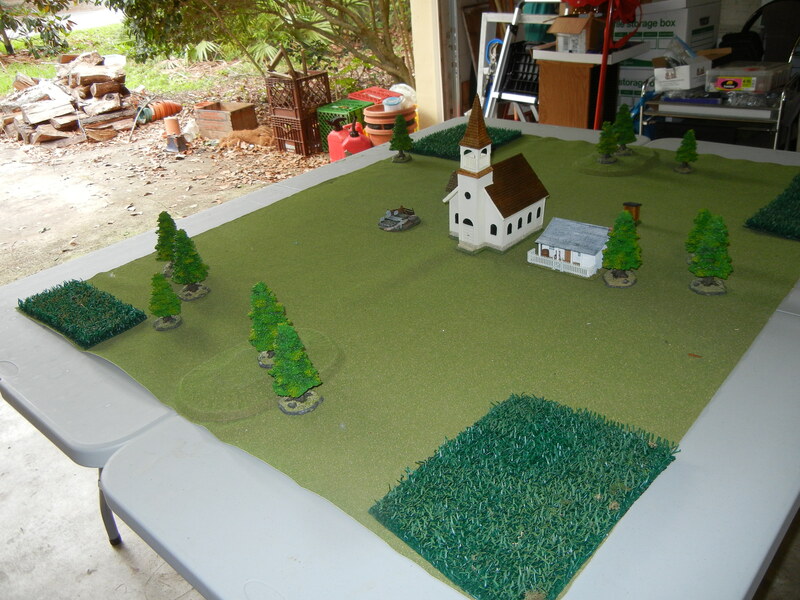 Miniature Battlefields I Have Known and Loved! 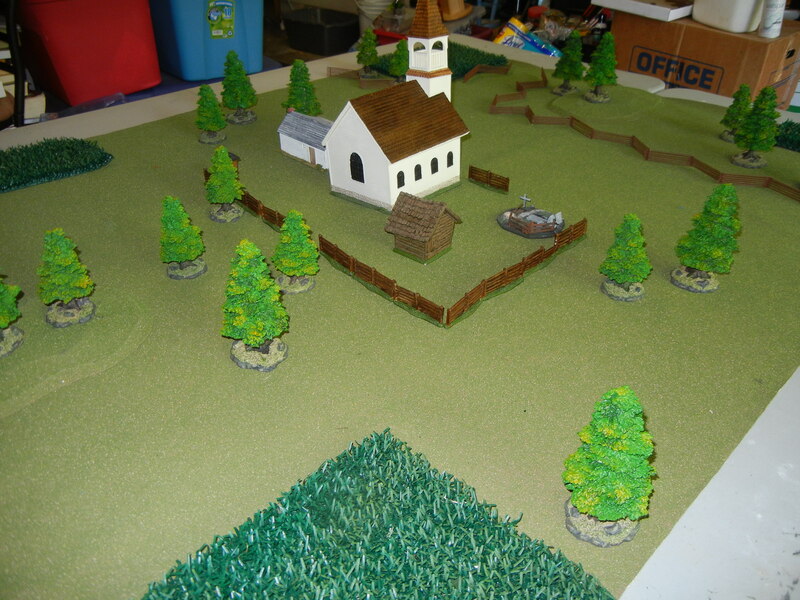 The Battle of the White Church!